Purchased this for my fiancé, who chose this ring. 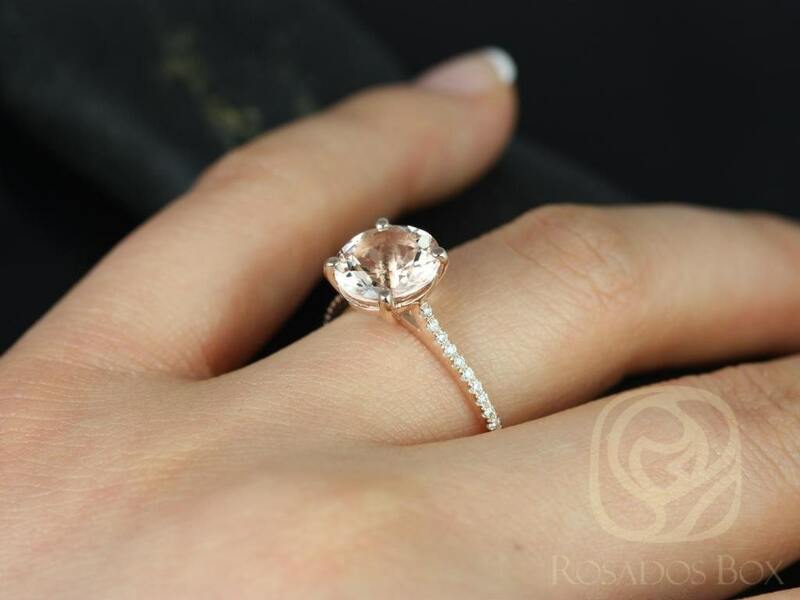 It’s a beautiful and stunning color, with a shiny morganite rock on top of rose gold with diamonds. The ring looks as shown in photos, and my fiancé loved it. Planning to have it slightly resized for optimal fit. 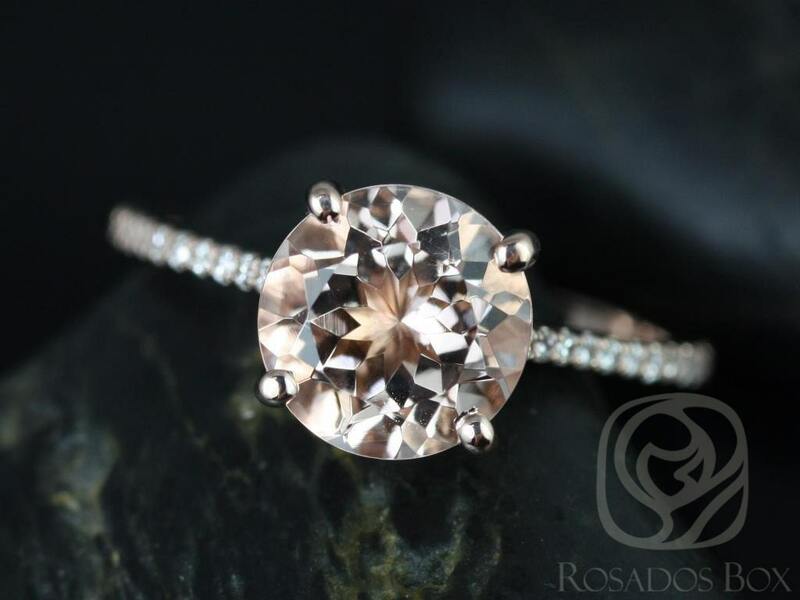 For the new age fiancé who doesn’t get caught up in the hype of the diamond industry, but appreciates the beauty and meaning of the engagement ring. 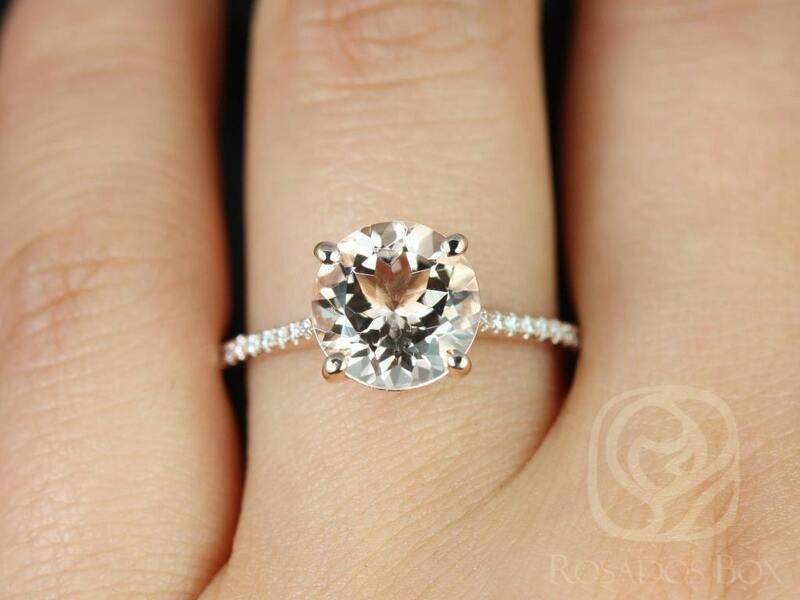 This ring is absolutely perfect. I've had it for about 3 weeks now and I still can't stop looking at it. I have really skinny and long fingers, so I didn't want anything too chunky for a band, and this band is so thin and looks great with the contrast of the big stone. 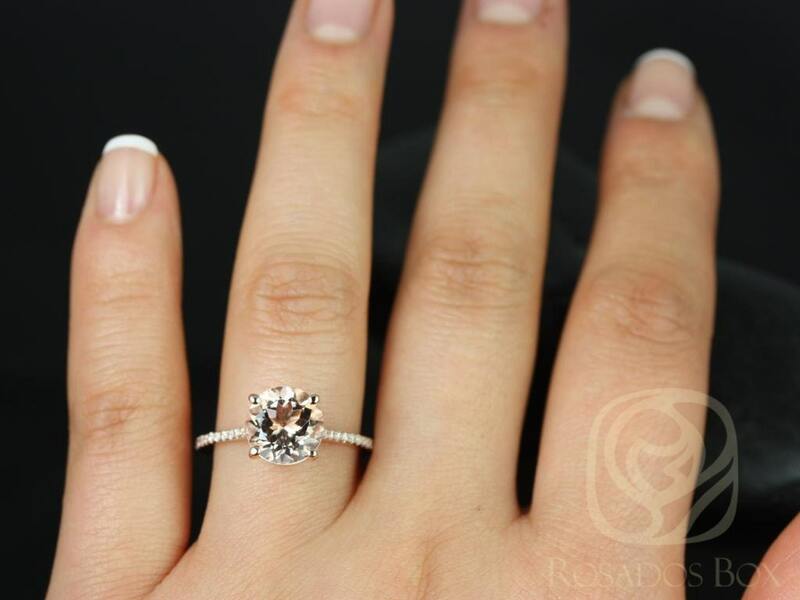 I'm so in love with this ring! 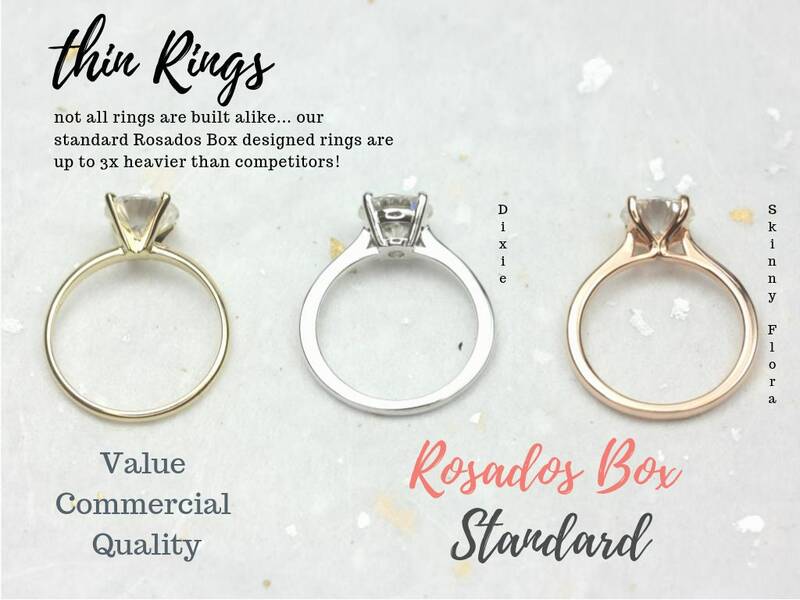 I know buying online can be scary, and I bombarded RosadosBox with questions. They were sooooo helpful! They even let me pick the center stone I wanted and size. I just received my ring and I am over the MOON!! So beautiful! 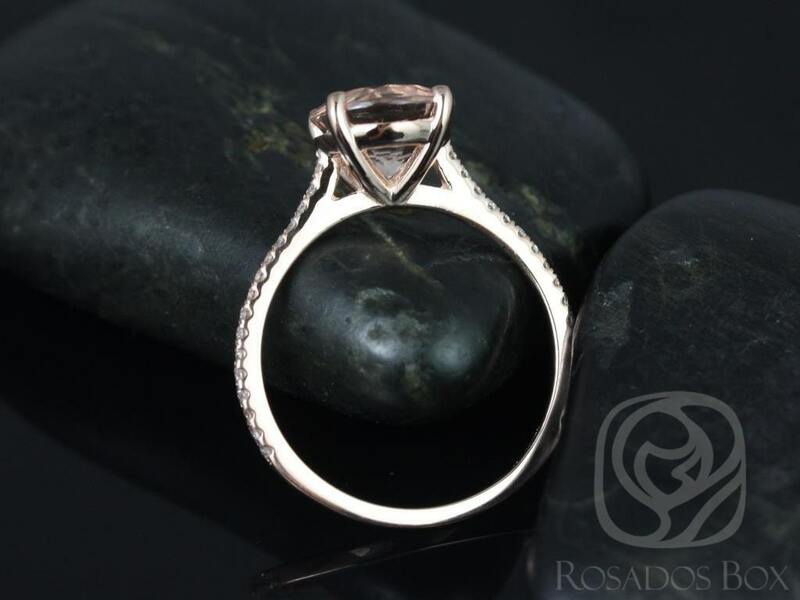 I went with a white topaz and it is stunning! I highly recommend them. Very reasonable pricing! 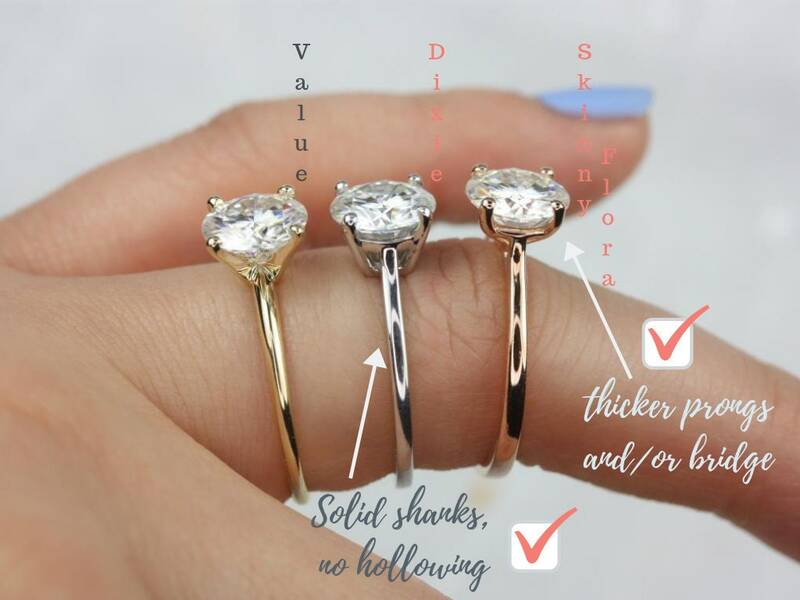 I will definitely be buying our wedding bands through them too!